“Alzheimer’s can be a grind,” a caregiver recently told me. That’s one reason I am constantly seeking those who see the creativity and potential in the journey. 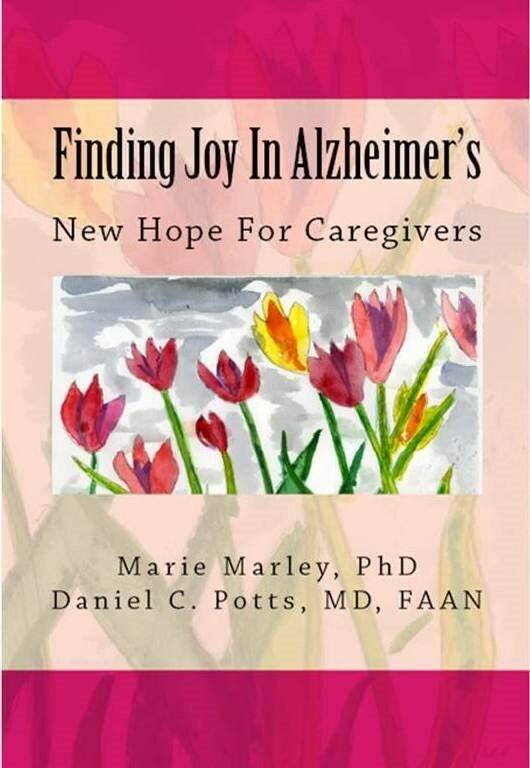 I look for inspiration and I found plenty in “Finding Joy in Alzheimer’s: New Hope for Caregivers,” a book by Marie Marley, PhD, and Daniel C. Potts, MD, FAAN. Both have a powerful personal story that they weave into the book, along with practical tips for care partners. Each interaction we have with another person presents an opportunity to share the hope that is within us. As care partners, we must identify and embrace the love present within each individual and we must enable the expression of that love, for personhood to be preserved and dignity promoted. We must also be fully cognizant of the love within ourselves. To come to terms with Alzheimer’s you must first let go of the expectation that you’ll find the previous person and instead embrace the new person– just as he is in the present. Since that person will continue changing as time goes by, one must constantly let go of the old person and accept the new one. Speak slowly and in short, direct sentences, with only one idea to (in) each sentence. Laugh a lot. Arrive for your visit with a supply of simple jokes and funny stories.